Mozartwas a great genius as a composer is, all said to have been able to assemble themusic in my head. Mozart is also that lived in the age homophony wasmainstream, Mozart music from the early to mid-term, the beautiful main melodyin a simple accompaniment is attached music was the mainstream. But as the lifeof Mozart is close to the end, the style has changed. Mozart's music becamemore complex, it incorporates a counterpoint and polyphony, such as canon andfugue, music will come tinged with distinctive profoundness and decline. Alongwith it, repeated many times elaboration, you will be going wrote the musicrepeated trial and error. Mozart,so was born six years after the death of Bach, never met with Bach. However,young Mozart, have the opportunity to listen to the music of Bach, he receiveda strong shock. When again met to fugue in unbroken living continued twentiesin the Mozart, Mozart seems to have felt the thought that springs and boilingpeople. If Mozart is not encountered in the music of Bach, his later years ofdeep some of Mozart's music would not have been born. Salzburg is the fourth-largest city in Austria and thecapital of the federal state of Salzburg. Salzburg's"Old Town" is internationally renowned for its baroque architectureand is one of the best-preserved city centers north of the Alps. It was listedas a UNESCO World Heritage Site in 1997. The city has three universities and alarge population of students. Tourists also frequent the city to tour thecity's historic center and the scenic Alpine surroundings. 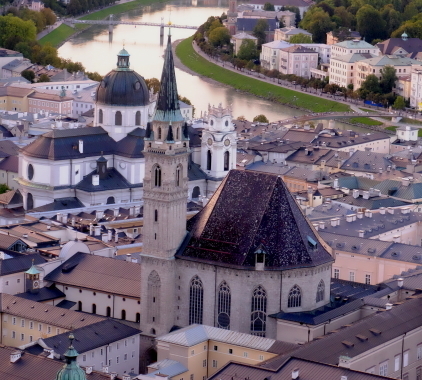 Salzburg was thebirthplace of 18th-century composer Wolfgang Amadeus Mozart. 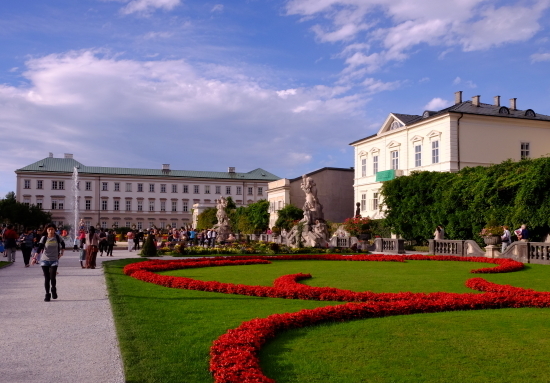 In the mid‑20th century, the city was the setting for the musical play and filmThe Sound of Music.